The partnership between the European Confederation of Linen and Hemp (CELC) and the Victoria and Albert Museum was recognized at the 25thUK SPONSORSHIP AWARDS 2019, a major event for British communication professionals, on Tuesday, March 26, 2019 in London. 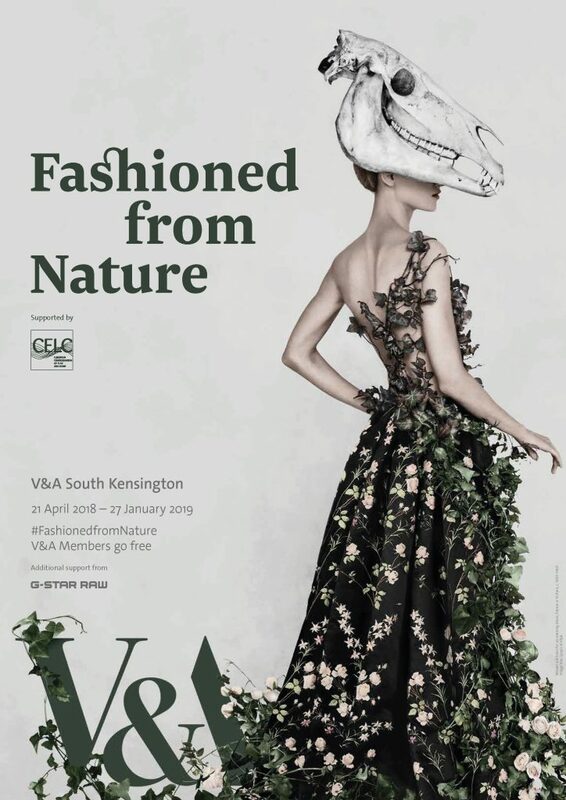 CELC’s support of the Fashioned from Natureexhibition at the V&A was a central pillar in the European linen authority’s marketing campaign I LOVE LINEN*. The timing and content of the sell-out exhibition were in total harmony with the aims of CELC’s first consumer-focused initiative in the UK, putting forward “possible solutions for a world that is more sustainable and respectful of our environment,” in the words of V&A’s director Tristam Hunt. These shared values were central to I LOVE LINEN’s message which went live in April 2018, with 50 leading fashion and interiors retailers uniting behind the campaign. Branding featuring the heart-shaped logo and CELC’s support of Fashioned from Naturefeatured in the windows of over 200 stores across the UK, including John Lewis Oxford Street and Peter Jones in Sloane Square, London which helped attract an audience of over 175,000 to the timely exhibition. Fashioned from Nature – which opened to the public from April 21, 2018 to January 27, 2019 – showcased a range of solutions which demonstrated the interdisciplinary research, creativity and innovation being developed to reduce fashion’s use of natural resources and improve its processes. For CELC, the partnership enhanced the I LOVE LINEN campaign’s reach and impact in the UK. This mutually-beneficial collaboration was rewarded by the judges of the UK Sponsorship Awards 2019. I LOVE LINEN 2018 is a three-year promotional campaign part of the series BE LINEN #1 [2010-2013] and BE LINEN#2 [2015-2018], co-sponsored by the European Commission and the European linen industry. These two campaigns have received awards in 2011 for the movie BE LINEN [Grand Prize of the Cannes Corporate Media & TV Awards | Grand Prize Auguste Lumière at the International Festival of the Institutional Image and Corporate at Creusot],in 2013 for the exhibit INCREDIBLE HARVEST [Prize for the best institutional production of the year from The Meeting Professional Magazine], and in 2017for the exhibit I LOVE LINEN [Grand Prize Top Com Consumer, Public Relations category].